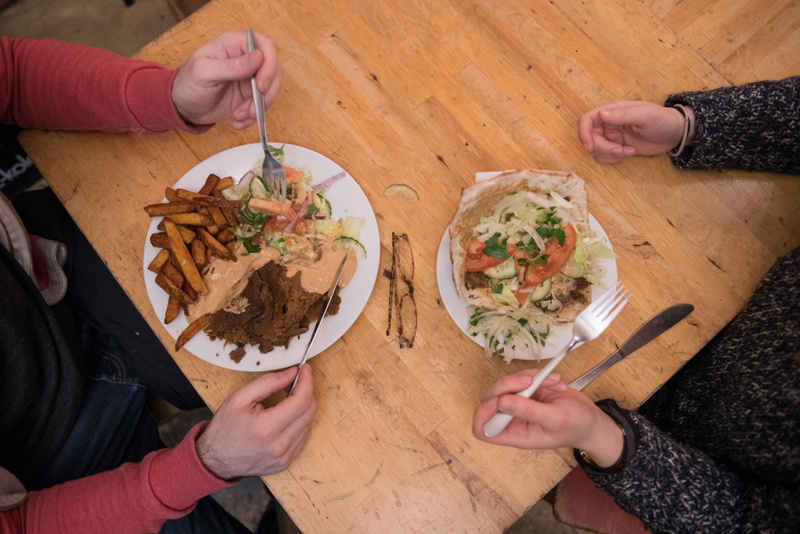 Guests eat a vegan doner plate and a doner kebab at vegan bistro Voener on January 25, 2018 in Berlin, Germany. The L.A. City Councilman introduced a motion on Tuesday that would require public venues to provide vegan food options. The ordinance would require some private spaces like large-scale entertainment venues, movie theaters and sports stadiums to offer at least one "vegan protein entree food option." It would also require L.A. World Airports, which operates LAX, to study the feasibility of putting a vegan restaurant in every terminal, and of having all other restaurants in the airport offer at least one vegan protein entree. Read the rest of Caleigh’s story here.